Homeschooling is a type of education where children learn outside of a school setting under the supervision of their parents. The family determines what is to be learned and how it is to be taught while following whatever government regulations apply in that state or country. Today, homeschooling is a widely accepted educational alternative to traditional public or private schools, as well as a valuable method of learning in its own right. The roots of today's homeschooling movement go way back in American history. Up until the first compulsory education laws about 150 years ago, most children were taught at home. Wealthier families hired private tutors. Parents also taught their own children using books like the McGuffey Reader or sent their children to a dame school where small groups of children were taught be a neighbor in exchange for chores. Famous homeschoolers from history include President John Adams, author Louisa May Alcott, and inventor Thomas Edison. Today, homeschooling parents have a wide range of curriculum, distance learning programs, and other educational resources to choose from. The movement also includes child-directed learning or unschooling, the philosophy made popular starting in the 1960s by education expert John Holt. 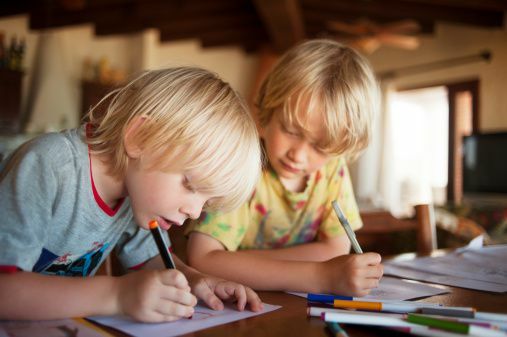 It's believed that between one to two percent of all school-age children are homeschooled — although the statistics that exist on homeschooling in the United States are notoriously unreliable. Some of the reasons parents give for homeschooling include concern about safety, religious preference, and educational benefits. For many families, homeschooling is also a reflection of the importance they place on being together and a way to offset some of the pressures — in and out of school — to consume, acquire, and conform. to provide gifted kids with more challenging material or allow them to work at a faster pace. Homeschooling Requirements in the U.S.
Homeschooling comes under the authority of individual states, and each state has different requirements. In some parts of the country, all parents need to do is notify the school district that they are educating their children themselves. Other states require parents to submit lesson plans for approval, send in regular reports, prepare a portfolio for the district or peer review, allow home visits by district employees and have their children take standardized tests. Most states allow any "competent" parent or adult to homeschool a child, but a few demand a teaching certification. For new homeschoolers, the important thing to know is that regardless of the local requirements, families have been able to work within them to achieve their own goals. How much structure is preferred. There are homeschoolers who set up their environment like a classroom, right down to separate desks, textbooks, and a blackboard. Other families rarely or never do formal lessons, but dive into research materials, community resources and opportunities for hands-on exploration whenever a new topic catches someone's interest. 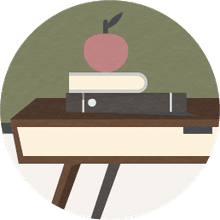 In between are homeschoolers who place varying amounts of importance on daily sit-down desk work, grades, tests, and covering topics in a particular order or time frame. What materials are used. Homeschoolers have the option to use an all-in-one curriculum, buy individual texts and workbooks from one or more publishers, or use picture books, nonfiction, and reference volumes instead. Most families also supplement whatever they use with alternative resources such as novels, videos, music, theater, art, and more. How much teaching is done by the parent. Parents can and do take on all the responsibility for teaching themselves. But others choose to share teaching duties with other homeschooling families or pass it along to other educators. These can include distance learning (whether by mail, phone, or online), tutors and tutoring centers, as well as all the enrichment activities available to all children in the community, from sports teams to arts centers. Some private schools have also begun opening up their doors to part-time students. Technically, homeschooling does not include the ever-increasing variations of public schooling that take place outside of school buildings. These can include online charter schools, independent study programs, and part-time or "blended" schools. To the parent and child at home, these may feel very similar to homeschooling. The difference is that public-school-at-home students are still under the authority of the school district, which determines what they must learn and when. Some homeschoolers feel these programs are missing the main ingredient that makes education at home work for them -- the freedom to change things as needed. Others find them a helpful way to allow their children to learn at home while still meeting the requirements of the school system.